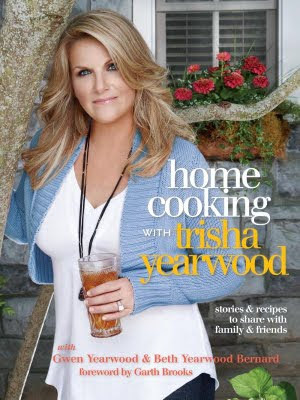 I have been meaning to review Trisha Yearwood's new cookbook Home Cooking for, what seems like, quite a while now! When I first saw my pal Kim from Stirring the Pot review it and cook from it, I was like...Trisha Yearwood has a cookbook!? Profound. That's me...profound thinker extraordinaire! But everybody I've seen do a review really enjoyed it. So the next time I hit the library, I added it to my pile. Yum! If you know me, you know that when I get a new cookbook, I sit down with a large piece of scrap paper, ready for tearing into strips (or a pad of post-its, but that's more expensive) and dive in. First off, this book is gorgeous! Glossy pages of colorful photos...of both food and family. So visually, it's a stunner. And come on, don't we all eat with our eyes first? The foreward is written by her husband, a singer close to my own heart *I'll tell you why at the end of the post, Garth Brooks. I mean, it's not like she can help using a celebrity real in an audience...she's one, she's married to one...it comes with the territory. He proudly introduces her and the book and lets us why she is so successful, both in cooking and singing. The reason is simple...it's that she loves what she does. Isn't that the secret to success in all aspects of life? Ms. Yearwood wrote this book of recipes and stories with the help of her mom and her sister. There are family recipes included...and recipes from old friends. She begins with a couple pages of helpful hints and then starts us off right...with breakfast. First page- bookmark. Something as simple as her mama's homemade waffles...and homemade hot maple syrup. Breakfast was varied, from hearty breakfast bowls to fresh fruit salads to sweet baked goods. Rip! 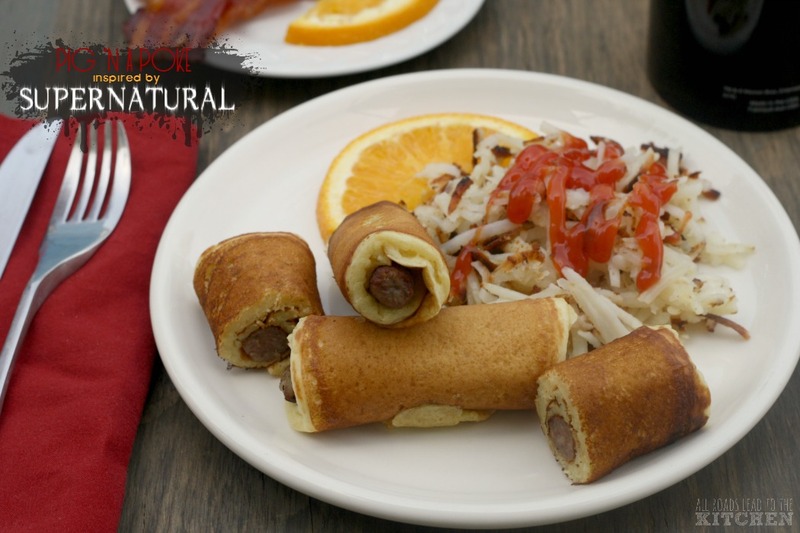 Snacks and appetizers...just as enticing. Rip! Salsa, cheesy dips, pâtés, pickles and of course some good, Southern Sweet Tea. I have lots of ideas for potlucks and picnics already! Soups and salads come next...tell me Cornbread Salad with french dressing doesn't get your juices flowing! 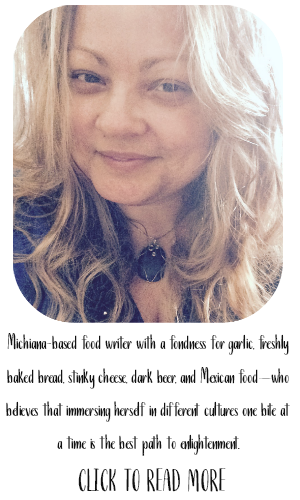 She's a self-proclaimed meat and potatoes girl who believes in eating lean red meat, but in moderation. From ribs to slow-cooked pork to cabbage rolls and her Uncle Wilson's Stuffed Peppers...Rip! 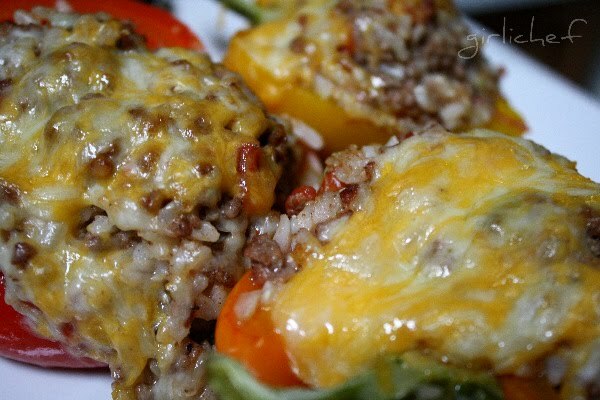 I made the peppers that are a "must-have" at her annual family gatherings...oh yeah, I agree! They were super. Full of flavor and pretty simple to line up and do a big batch for the whole famdam! Rip! The rest of the book was more of the same...my paper quickly disappearing! Poultry and sides...crunchy slaw, much like one my grandma makes..and a crockpot mac & cheese that is set to made around here this weekend...to breads; "a meal isn't complete without bread! ", this book has fabulous variety! She moves on to cakes and pies Rip! and finishes with cookies, candies and the like. There's a particular Grape Salad that makes my mouth water every time I look at the recipe and picture. That's on my list for the next couple of weeks, as well. 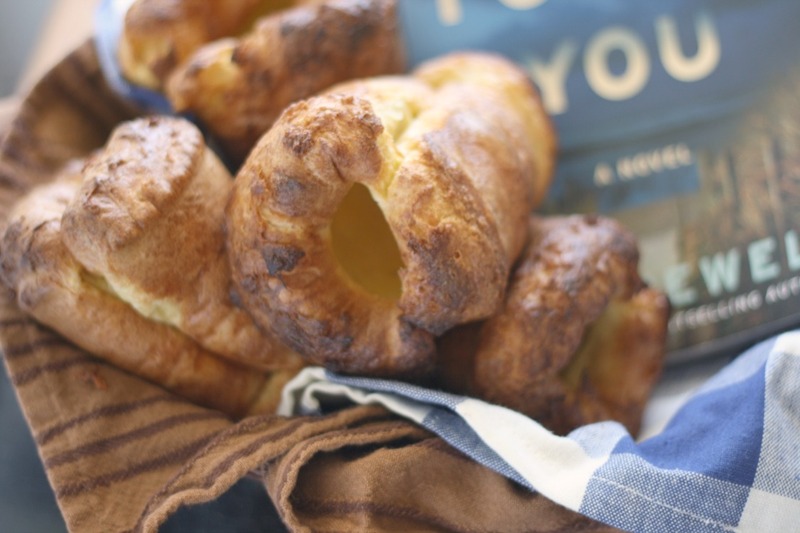 I want to share my favorite recipe from the book, though (so far). It also just happened to be the first thing I made, so I was hooked from the get-go. 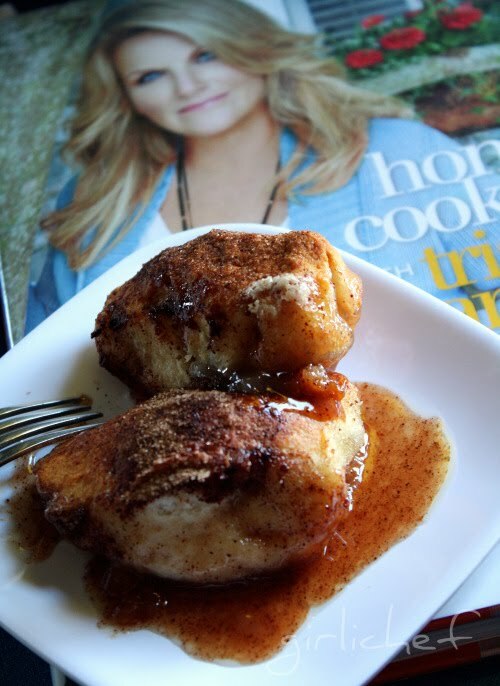 Trisha's Apple Dumplings are "Quick and Delicious! ....like having your own individual apple pie..."
And they make your house smell A-MAZE-ING! OUT OF THIS WORLD AMAZING. 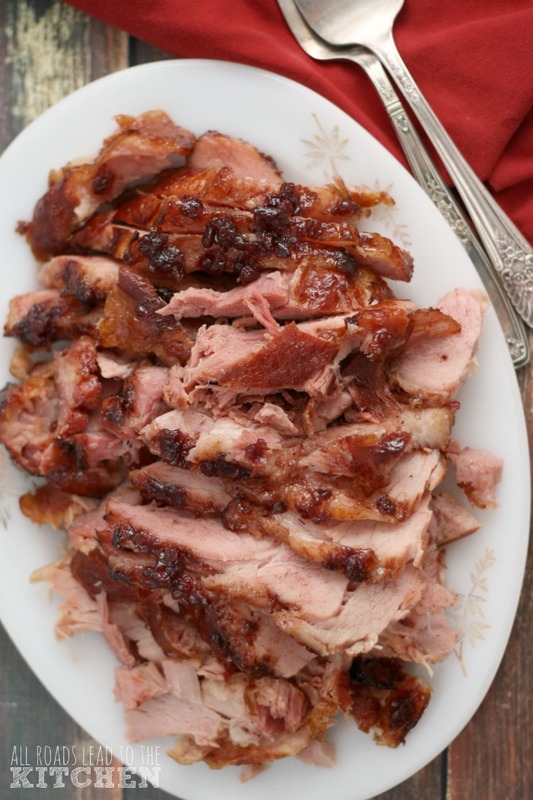 IT SMELLS SO INVITING, YOUR NEIGHBORS STOMACHS WILL GROWL! Honest. The funny thing is, they use refrigerator biscuits... Well, maybe it's not funny, but it's curious to say the least. Because they are so killer. I want so badly to convey how awesome my house smelled while these were cooking. I want to bottle that scent and have it at the ready if I get unexpected house guests. Or spray it on myself and watch the saliva slip from the corners of people's mouths as I walk by. That fabulous. Preheat oven to 375 F. Peel, core, and slice the aples vertically into 8 slices each. cover with water to keep slices from turning brown. In a medium saucepan, mix the water, 3/4 c. of the sugar, the butter, and the vanilla. Bring the mixture to a boil over medium heat. Separate each biscuit into 2 layers. Wrap a biscuit layer around a slice of apple, stretching the biscuit slightly to overlap, and seal on the bottom. Place the wrapped slices, sealed side down, in a 9 x 12 x 2" casserole dish I used a 9 x 13. Pour the hot sugar mixture over the apple slices. Don't freak out! This seems like a sh*tload of liquid. I sat there...looking, contemplating...thinking, Trisha- are you sure about this? I mean, I'm sure you know what you're doing, but that is a LOT of liquid. But afterall, they are dumplings, they need water. I'll just what you say. Thank goodness I did. 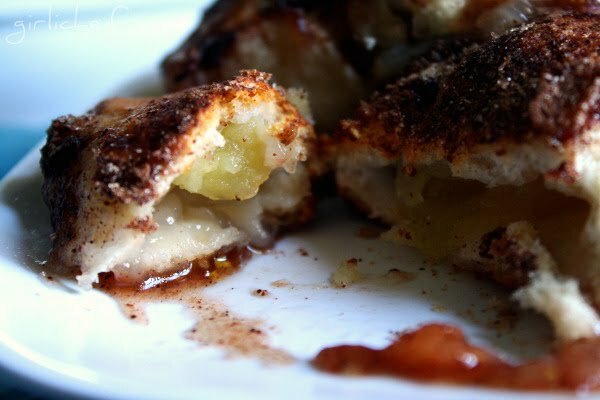 Mix the remaining 1/4 c. sugar with the cinnamon and sprinkle the mixture over the tops of the wrapped apples. Bake for 35 minutes, or until golden brown. So flippin' delicious! I mean, these are almost too easy to make. 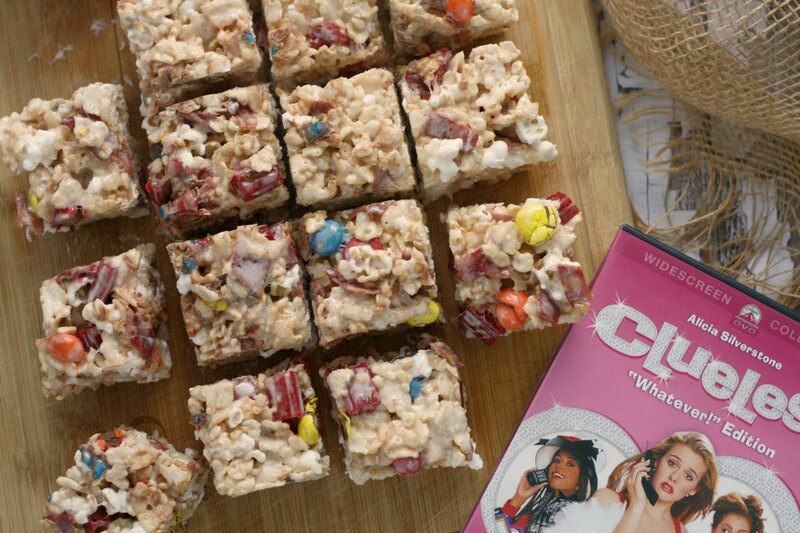 There not something I want to eat everyday...well, okay I want to, but my thighs disagree...but definitely eat them from time to time...so worth it! In other words, I quickly exhausted all of my scrap paper...the strips getting thinner and thinner as the book went on (so the paper would last). If you'll remember, this was a library book. I definitely was in need of owning this book, so I could take my time and refer back and keep my bookmarks!! So tell me I'm not the luckiest girl in the world...Crown Publishing Group...was awesome enough to send me MY VERY OWN COPY. So yes, I got this book for FREE, but only AFTER I fell in love with it. It affected my opinion in no way at all. I worked diligently at transferring all of my bookmarks from my library copy into my own copy and keep it close at hand at all times!! 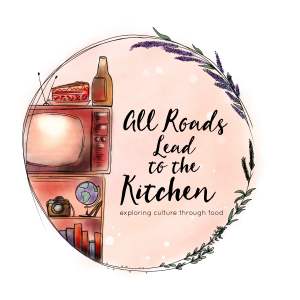 I'm sure there will be a day that it will work its way onto the shelf, and become one I pull out from time to time or when I remember a recipe I'm in the mood for, but for now- I want it at my fingertips! *Are you eagerly awaiting my Garth story? Thought so. Okay, back in my college days Garth was coming to play the Breslin Center (I was at State back then). We (my roommates and I...Bren, Kel, Gina) waited in line to get tickets. I can't remember if this particular wait was overnight or if that was for Smashing Pumpkins. One of the waits was overnight...I fell asleep in line with a blanket pulled over me and woke up, threw the blanket off and was covered in snow! Good times. Anyway, we got great tickets. We were in the first "upper" section, but SO CLOSE to the stage! Closer than if we had been on the back of the floor. We sat just diagonal to the corner on the side where Garth "stood". Garth is fabulous in concert...he is high energy and very interactive with the audience. At one point, the four of us stood up (we were right in the front, by the rail) and in unison yelled "WE LOVE YOU GARTH!". He looked right at us...smiled, put one hand over his heart and pointed at us with the other hand. !!!! He heard us and he loved us right back!!! It rocked. Bren, Kel, Gina...I miss you ladies.